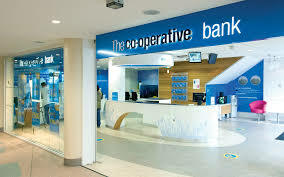 The Co-operative Bank announced yesterday that it is putting 100% of its shares up for sale. The action comes at the end of a difficult few years in which the bank attempted to reverse its fortunes, after a near collapse in 2013. More recently it has not been able to strengthen its finances because of low interest rates. They currently have around four million customers and are 20% owned by the Co-operative Group. Also well known for its ethical position the bank say’s this makes it "a strong franchise with significant potential" in terms of a sale. The Co-operative Bank has not had its troubles to seek since they merged with the Britannia building society in 2009. The deal was later flagged up as being a major factor in the near collapse in 2013; after a £1.5 billion black hole was revealed in the accounts. Bank chairman Paul Flowers also stepped down in 2013 after expenses allegations. In 2015 the Co-op Bank announced that it would remain loss-making until the end of 2017. Then in 2016 the Bank of England banned two former key figures at Co-operative Bank. 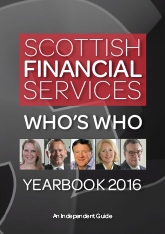 Former Chief Executive, Barry Tootell and former Managing Director, Keith Alderson were banned from holding any senior banking positions. As the sale announcement was made bank Chairman, Dennis Holt said: "Customers value the Co-operative Bank and our ethical brand is a point of difference that sets us apart in the market. While our plan has been impacted by lower for longer interest rates, the costs associated with the sheer scale of the transformation and the legacy issues we faced in 2013, there is considerable potential to build the bank's retail franchise further using the strength of the brand, its reputation for strong customer service and distinctive ethical position."